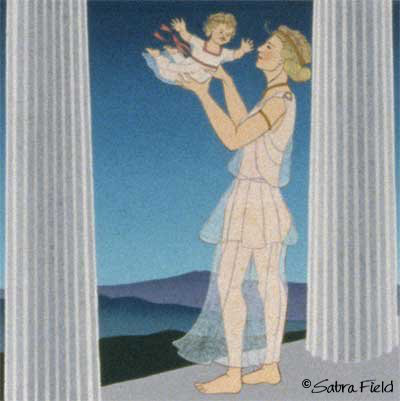 The goddess rejoiced when she gave birth to a daughter, Persephone. Demeter and Persephone lived together in their temple in Sicily. They caused the whole earth to flourish in a summer that never ended. Amid such plenty, few people died. Framed 21" x 21", Unframed 14" x 14"